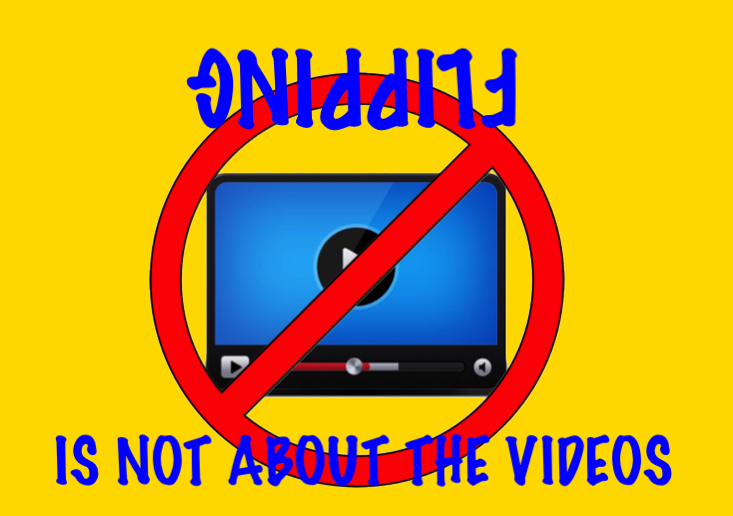 Most educators who consider flipping develop angst beginning with the fear of making videos. The concerns typically center on the time necessary to make the videos, the technological skills to produce the videos or the where with all to put voice and/or face on public display. And of course there is the option to use the million or so videos that are already available through, YouTube, Vimeo, Teacher Tube, etc… But I shout from the highest blog post, IT IS NOT ABOUT THE VIDEO!!! While videos do play a roll in most “Flipped” classrooms, the videos are simply a tool that can be employed for delivery of content. Articles, documentaries, textbooks, websites are also valuable tools to disseminate content. The success of any classroom but specially a “Flipped” classroom is in the building of relationships. There are three primary relationships that are central to the success of the flipped classroom. These are, in no particular order: Student to Subject, Student to Student and Student to Teacher. The Student to Subject Relationship. Just because I now flip my class, I still get the occasional, “When am I going to use this in real life?” response from a student. However, this has diminished significantly as a result of focusing my classroom on three key aspects, a more inquiry based hands on approach, more peer teaching and learning and more exposure to the subject matter in the real world. Each of these aspects have immersed students in the material in a way that they see greater value in the subject. Students who experience learning and are encouraged seek answers to their own questions are very seldom bored with the subject. They find the content delivered outside of class time as more valuable to their success in class. Students who are responsible for their peer’s learning success tend to develop an understanding that their own success is dependent upon the success of those who surround them. They become more responsible not only for themselves but also for their peers. Their need to fit in becomes dependent upon their preparation and therefore they value the subject more. Providing resources outside of class to experience how the subject works in the world brings light to the importance of the subject content. Providing personal experience, guest speakers in person or through virtual content, and projects that connect the content and student to their world brings value to the subject. In 1981 Dr. Gary Phillips conducted research for the National School improvement Project. While his results brought about some minor changes in educational circles in the decade of the eighties, there is one piece of his data that stands out. Three months after we have learned some thing, we will remember 92% of what we have taught to someone else. It is in the process of gathering information, taking ownership of the knowledge and then taking responsibility for sharing that material with someone else that we solidify our own understanding of the subject. Students who can develop a trust in themselves and their peers for the process of learning will master material at a greater rate and consistency than those who learn on their own. While the “Flipped” model provides opportunity for individualized instruction and the possibility for a mastery level approach. However, the true value of the flipped model comes from the opportunities for greater student interaction and more peer to peer teaching . It is in building those students relationships that students develop accountability for themselves and to their peers. The “Flipped” classroom is best structured as a student centered learning environment. This means that the educator must transition from the deliverer of content to the facilitator of learning; the “Sage on the Stage” becomes the “Guide on the Side”. It is in this role that the flipped educator can interact with students in a way that provides opportunities for assessment, remediation, and inspiration. The flipped educator creates the path for learning and allows the student the opportunity to take ownership of their mastery of the subject. As the facilitator of learning the educator acts as guide and mentor taking advantage of teachable moments and learning opportunities that will enhance the student experience in the subject. When students return for their 20 year reunion, the discussion will never begin with, “Oh man, I remember that great packet of 10 problems you gave us for gas laws.” The conversation will always be about the relationships tended. How they felt, and what they experienced. 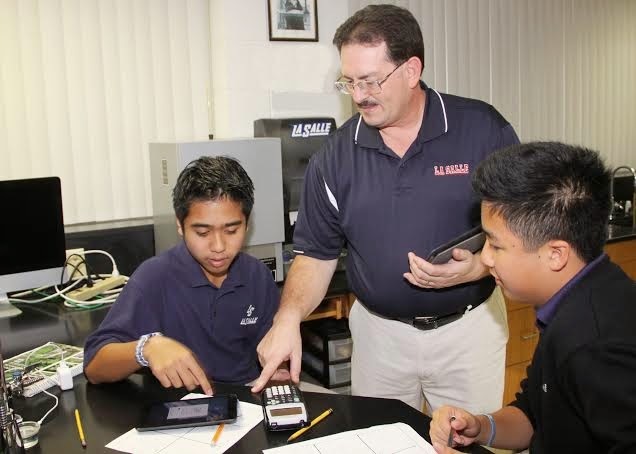 While the videos may play a pivotal role in providing delivery of content outside of the classroom, it is the time created in the classroom that becomes invaluable to developing the relationships that allow students to take ownership of their learning path and provide value to the subject matter.